These tips and tricks will help guard your hair from the damaging effects of heat styling. 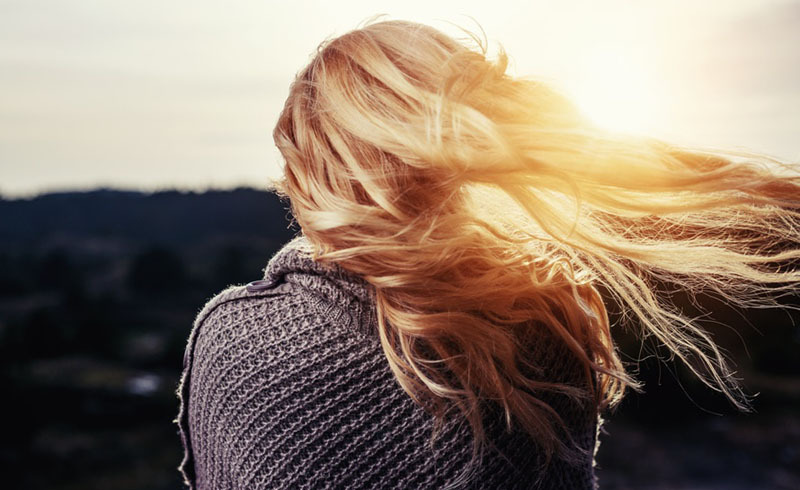 As much as I live for the holidays, the constant parties and unpredictable winter weather can cause more blow-drying and straightening than usual, and brittle hair can make even the most wonderful time of the year seem a little less joyous. Luckily, I found some easy ways to combat unwanted dryness and breakage that comes with all that harsh winter weather and artificial heat exposure. 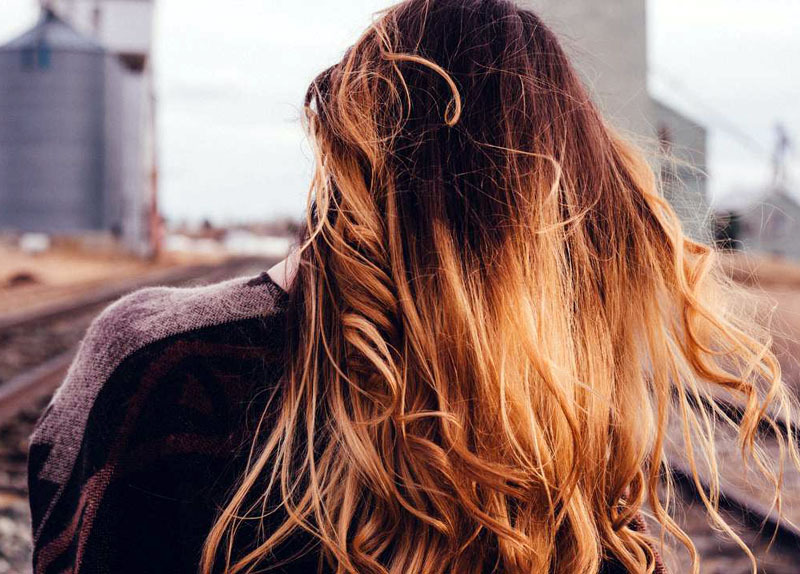 Incorporate these five tricks into your routine for healthier hair that’ll stay strong all winter long. I believe that protection from heat damage actually starts in the shower. Styling hair riddled with leftover product can dry it, leading to unnecessary breakage. Kick-start your holiday hair routine by detoxifying locks with clarifying shampoo. Once a week, wash with a clarifier that’s infused with purifying rosemary leaf extract and tea tree oil, such as R+Co Oblivion Clarifying Shampoo. The cleansing formula deeply penetrates strands to remove the dirt, oil and build up that your regular shampoo simply can’t achieve, so you can style with a clean slate. Hydrated hair is happy hair. Properly moisturized strands can stand strong against the damaging effects of high heat, which means less flyaways and split ends. Make sure you’re replenishing your strands with essential fatty acids at least once a week to guard against dryness. Opt for a deep conditioning mask rich in protein, like Rene Furterer Karite Hydra Hydrating Shine Mask, which contains lipid-replenishing shea oil to replace moisture and protect your hair’s keratin structure. After shampooing, apply the mask to sectioned hair and leave in for thirty minutes. To enhance hair’s absorption of healthy ingredients, I like to cover my head with a shower cap, slightly lift the sides, and fill the bonnet with heat from my blow dryer for a DIY steaming effect. If you don’t have heat protecting spray in your beauty arsenal, stop reading and go get some right now. I can’t stress this enough—combing a thermal protectant through your hair before applying heat is the best way to keep strands from burning. Opt for coverage effective up to 420+ degrees, and make sure to evenly distribute through damp hair from root to tip before blow-drying. I like how Rene Furterer Lissea Thermal Protecting Smoothing Spray adds a lightweight shield without the sticky residue. You can also layer it in with a leave-in conditioner before styling. Mark my words, hair oil is the biggest gift your head will receive this holiday season. Protective, shiny and undetectable, it’s like a liquid bandage for your hair. My go-to is Bumble and Bumble Hairdresser’s Invisible Oil. Even though the formula contains a rich blend of 6 oils, the mixture surprisingly vanishes into my strands for feather-light silkiness without feeling greasy. Simply work a small amount through damp hair before blow-drying to instantly seal the cuticle (outermost part of the hair shaft) and moisturize while you style. My favorite part about hair oil? It can help cut down on heat exposure. If your locks look frizzy, apply sparingly on your mid-shaft and ends to smooth, repair dryness and impart shine without having to re-straighten. Dry shampoo can save you hours of styling by extending the life of your blowout with minimal heat exposure. A couple spritzes effortlessly soak up oil for hair that feels as clean as it does on shampoo day. Klorane Dry Shampoo with Oat Milk is my holy grail—it completely revives my blowout so I don’t have to constantly wash and restyle. My hair not only feels cleansed, but also looks shinier and more voluminous without any chalky build up. To give pre-styled hair new life without heat application, add dry shampoo to your roots and gently massage it into the mid hair shaft for added volume. Seal your ends with a touch of oil for healthy hair that keeps on giving this holiday.